Emma Silva’s childhood has shaped her into an independent, loyal New Yorker, and she plans on staying true to her roots. The longtime New York resident attributes her values to living in Brooklyn her entire life, a place where she learned to act on her own at a young age. 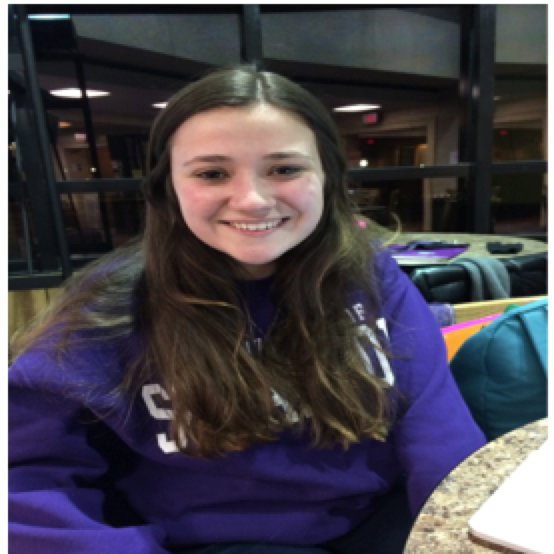 “I felt like I got really independent at a young age because I took the subway a lot, which I think is different than people from other towns; especially from people who live here,” Silva said in an interview on Monday night in The University of Scranton’s library. Silva, despite her loyalty to New York, still has ambitions of visiting other cities. Not only does she plan on traveling to different cities around the world, but she also plans to live in one temporarily. Despite her traveling ambitions, she will never forget where she came from. She will always be a New York City girl. Emma’s college journey started in Boston, where she spent the first semester of her first year. Silva thought she wanted a big city, and Boston seemed like the right fit for her. She chose Boston University. Things didn’t go according to plan, though, as she decided to return home to Brooklyn after only a few months. Silva said she decided to go to Brooklyn College for a semester, because she didn’t want to stay out of school completely. After taking only two courses at Brooklyn College, Silva decided to reignite the search for the right college. With a little help from her grandfather, she finally decided to give The University of Scranton a chance. After a convincing effort from Silva’s parents and grandfather, she visited the school to appease them. She did not regret it. She felt the kindness shown by the students of the school was unique, and definitely one of the main reasons she chose the school.